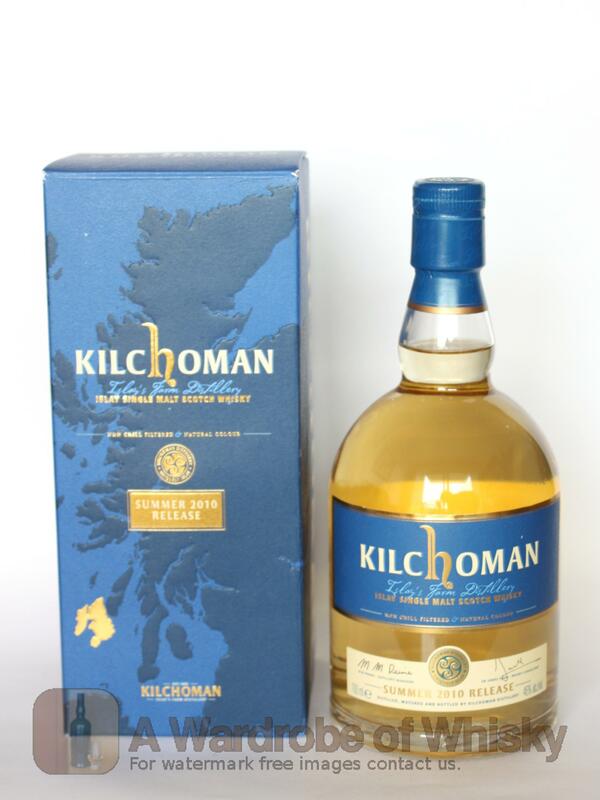 This is the very first general release from Kilchoman that is matured entirely in fresh and re-fill bourbon barrels. The bottling took a bow at Whisky Fringe and is as good as if not better than anything we've tasted from this brilliant little place out west. Nose (88): inexistent. 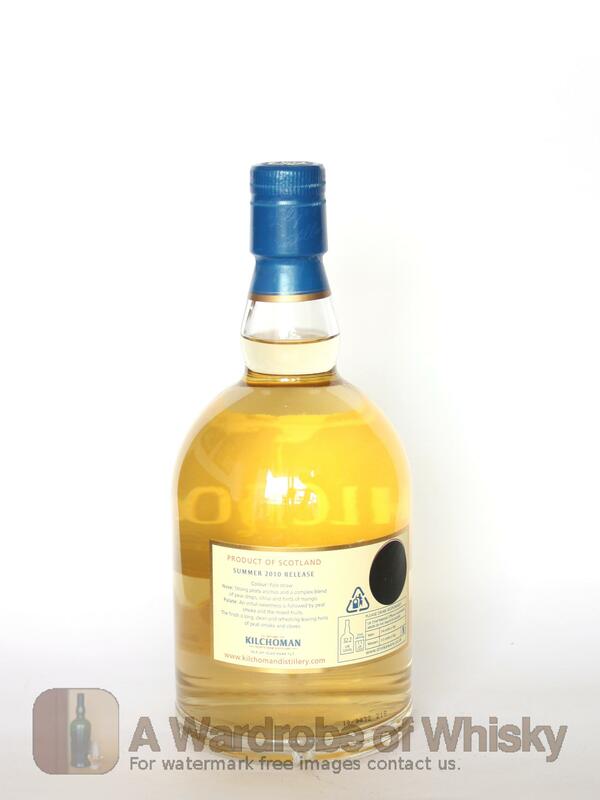 sweet, peat, earthy, floral, a little vanilla hidden behind the wall of peat. First nosing data is innacurate as the previous tasting sheet lacked of this field. Taste (96): . earth, peat, sweet, vanilla. Bouquet data is innacurate as the previous tasting sheet lacked of this field. Finish (92): no finish. earth and peat. Finish length is innacurate as the previous tasting sheet lacked of this field. 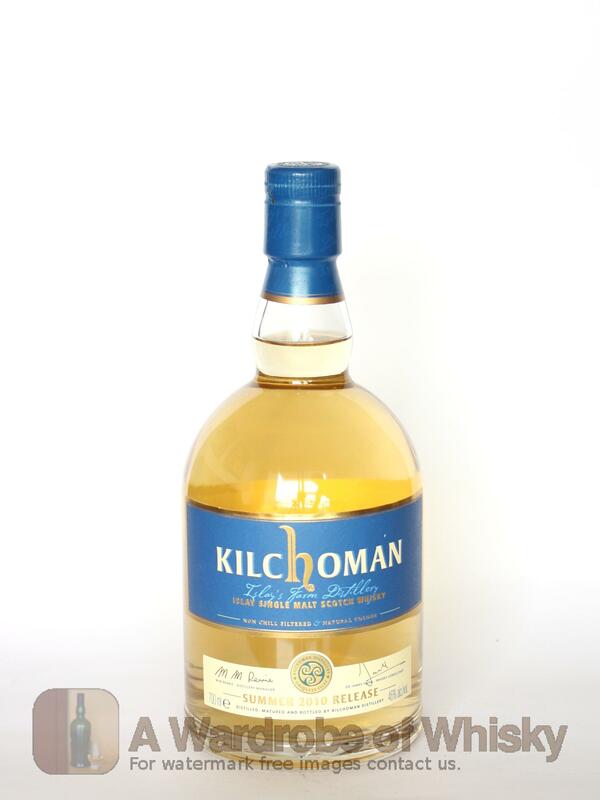 These bottles have been chosen over others because their nose, taste and finish are more similar to Kilchoman Summer Release 2010 than the rest. Go to Whisky-o-matic page to fine tuning other settings.